Married at First Sight: AJ and Stephanie Sersen – Most Likely to Survive MAFS? 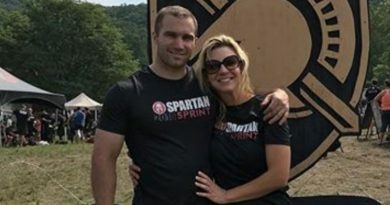 Married at First Sight couple AJ Vollmoeller and Stephanie Sersen appear to be the strongest couple right off the bat. Fans know that not all couples enjoy a happily ever after. In fact, of the 21 couples that were featured prior to Season 8, only 5 are still married. That’s an abysmal 23 percent success rate for this modern take on arranged marriages. The marriage experts don’t exactly have a great success rate to bolster that expertise. Moreover, where does this leave the Season 8 couples? An immediate red flag couple for MAFS fans is Luke Cuccurullo and Kate Sisk. The consensus among Married at First Sight viewers seems to be that Luke is not physically attracted to Kate at all. Kate admitted upon seeing Luke that she found him attractive. That said, that feeling doesn’t seem to be reciprocated. When Kate attempted to kiss Luke at their wedding reception, he shut her down. Luke was also the only husband that needed convincing to share the bed. Of all the couples this season, they seem the most likely to call it quits. So far on Married at First Sight, things seem to be going well for Stephanie Sersen and AJ Vollmoeller. The husband, AJ comes across as a bit neurotic at times. He talks a mile a minute. Even so, that doesn’t phase new wife Stephanie. In the early going, they both seem well matched. They play off one another and seem to mesh well. They definitely seem to get along, and there’s a physical attraction to boot. As an added bonus, they were the first couple on season 8 to consummate their marriage. 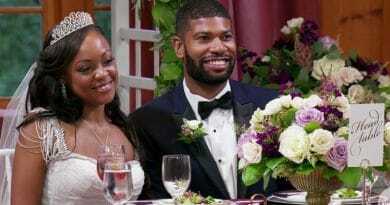 Will Guess and Jasmine McGriff went for the thrill-seeking option on Married at First Sight. Each couple chose an activity to take part in. Jasmine is definitely the adrenaline junkie of the group. They chose to ride ATV’s through the rainforest to really get the adrenaline flowing. Will seemed to be a good sport about it, but it was definitely more Jasmine’s thing. They got into their first fight while on the trail. Will kept pushing Jasmine to speed up and she wasn’t having it. At one point, Jasmine nearly tipped over and Will didn’t offer any help. This looked like it could be a deal-breaker early on. Keith Dewar and Kristine Killingsworth definitely hit it off as a couple on Married at First Sight. From the start, there was an instant physical attraction. Interestingly, one of the first things Kristine wanted to do when they arrived in Costa Rica was go to the gym. Keith admitted that the only physical activity he does is couch surfing. That said, he was a good sport about it and seemed open to incorporating a bit more physical activity into his daily life. It will be worth watching Married at First Sight this season to see how the couples progress on their journey. AJ Vollmoeller and his new wife, Stephanie Sersen, are definitely the strongest couple with the most chemistry from day one. On the opposite end of the spectrum, Luke and Kate seem to be in trouble early. It will be interesting to see if Luke and Kate can find a way to bridge the gap or if it continues to widen as the season goes on. Catch an all-new episode of Married at First Sight Tuesday at 9:00 PM only on Lifetime. Come back to Soap Dirt regularly for the latest Married at First Sight news, spoilers, and leaks. 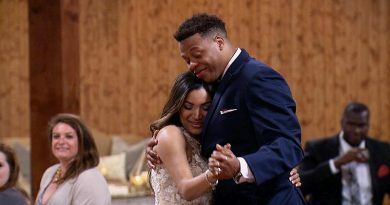 ‘Married at First Sight’ Spoilers: Wedding Night Bliss – Keith and Kristine Consummate?